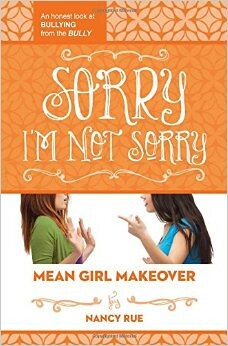 This book, Sorry I'm Not Sorry, is the third in a series of books about bullying by Nancy Rue. One out of four students is bullied at school, and 85% of those situations never receive intervention. I love that the author has tackled this very important problem facing our children by writing a series of books told from three different perspectives. So Not Okay is told from the perspective of the bystander. You Can't Sit With Us is told from the perspective of the victim, and this last book in the trilogy, Sorry I'm Not Sorry is told from the perspective of the bully. Kylie Steppe is the popular girl at school. Her pack of girls follows her lead in ruling the school and bullying the underdogs. However, her world she's created starts to crash in around her when she gets expelled from school for bullying and has to participate in mandatory counseling and volunteer at a camp for underprivileged kids. Even though Kylie fights it every step of the way, deep rooted securities start surfacing as the inner thoughts she's trying to stuff keep presenting themselves. Kylie gets a wake up call when she reads her own hateful words in an email she's sent and when she becomes the victim of bullying on social media. It's a must read along with the other two books in this series. I think everyone would identify with at least one character, the victim, the bystander, or the bully. Check out the flipbook for a sampling of this book! I have one copy of Sorry I'm Not Sorry up for giveaway courtesy of Thomas Nelson. Giveaway is open to U.S. addresses only and ends Saturday, June 6th at 11:59 PM CST. Enter through Rafflecopter below! Disclosure: I received a free copy of Sorry I'm Not Sorry from Tommy Nelson in exchange for my honest review. All opinions are my own. 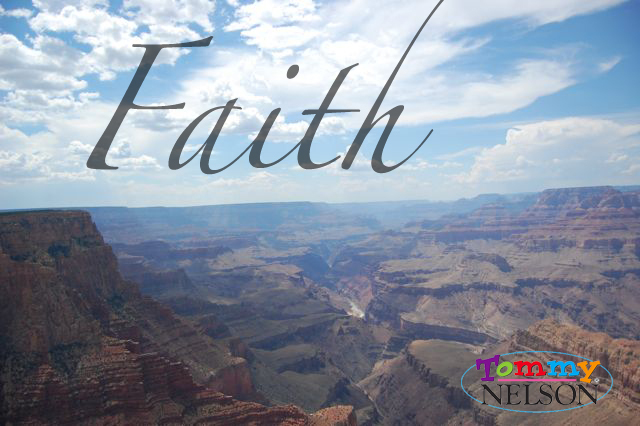 Trusting God is not always easy, and sometimes it's hard to remember, in the midst of difficult moments, to include our kids in the process. I'll never forget when we invited our kids into trusting God for a vehicle. The prayers got kind of crazy, but it was such a privilege to include them in it. I know we all came out richer having walked through it together. 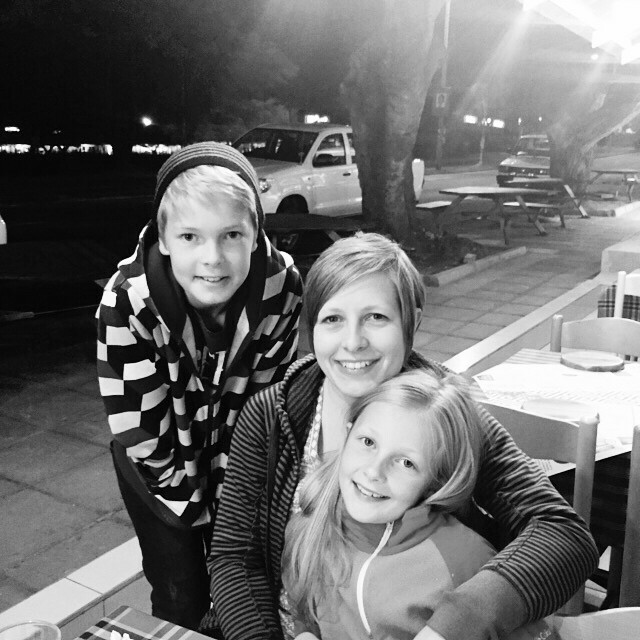 Read all about our experience of trusting God for big things as a family over at Tommy Nelson! 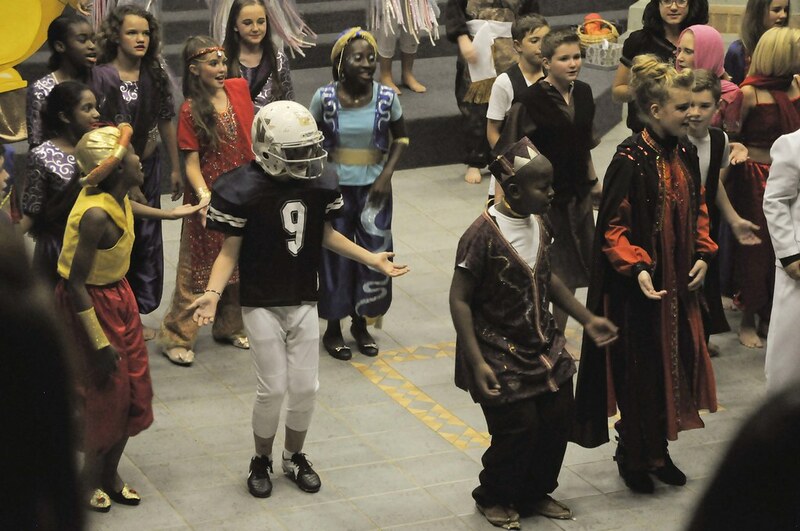 A few weeks ago, the Senior Primary (grades 4-8) at the kid's school put on an amazing production of Aladdin Trouble. 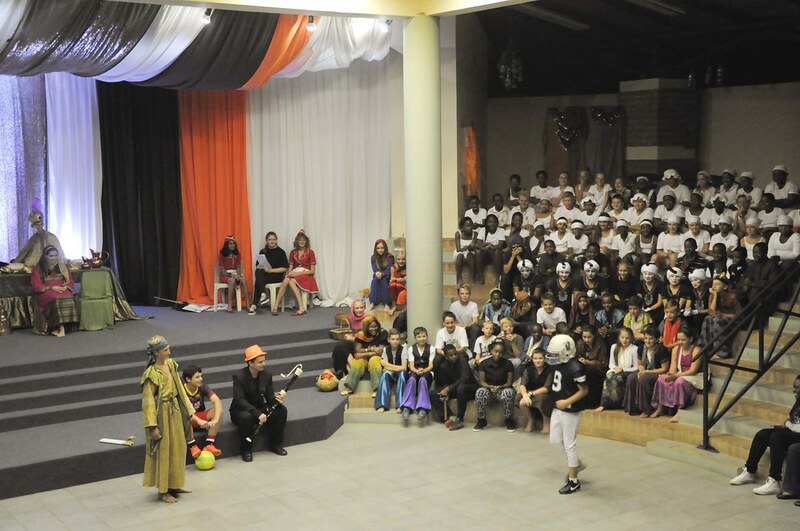 It was the story of Aladdin but with an African flair to it. Joshua was one of the suitors trying to win the heart of Princess Jasmine. He was an American football player. I'm not sure whose bright idea that was to make the American kid play the role of a sports player for a sport that doesn't exist here. You can't find anything related to American football. However, that quick trip I made to the states paid off. I picked up a pair of $5 baseball pants (no one knew the difference) and a Cowboys football jersey. One of the kids in his school just happened to have lived in the states for a stint and played football while he was there. 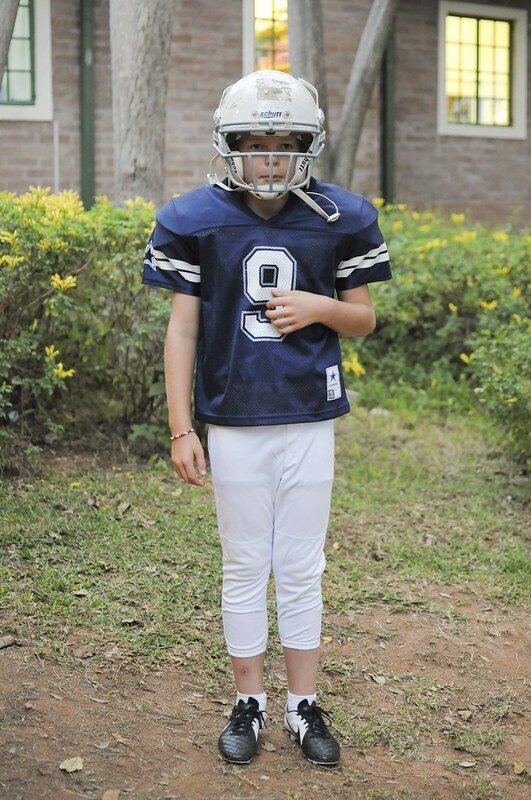 Joshua borrowed his helmet and a football player was born. He did awesome! 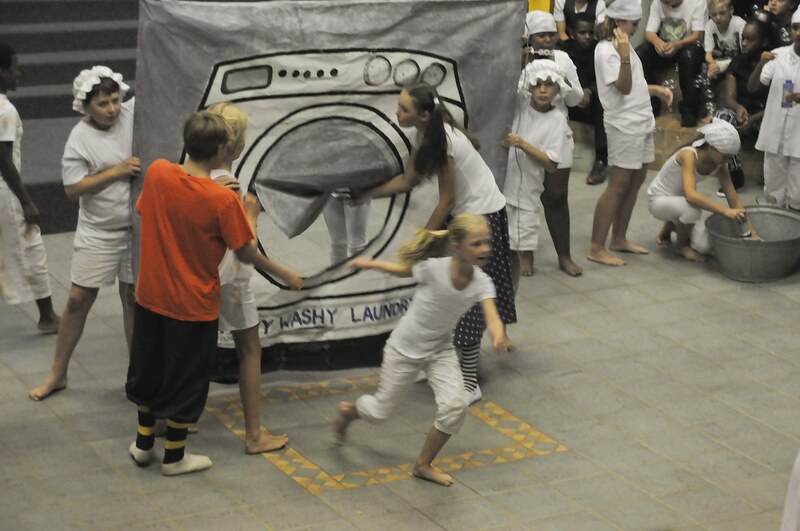 The Grade 5's performed the Wishy Washy song, probably THE BEST song in the play. I know I'm a bit biased, but it was the cutest thing ever. Emma's "twin" went in dirty, and out came Emma G all clean. The blur is her running out of the washing machine. I do love school productions. 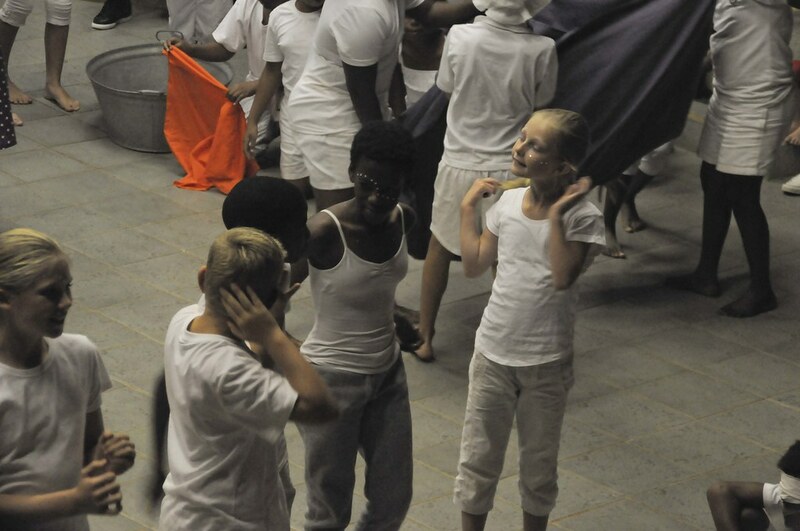 I love how the kids all come together, work hard, and do something creative and entertaining. It's beautiful! Remember that whirlwind trip I took last month to the states? I can't remember if I mentioned in this space, but I flew 24 hours to spend six days in Texas and then flew 24 hours home. I don't recommend it. It was, however, a perfect opportunity to catch some shots of what life looks like in transit. 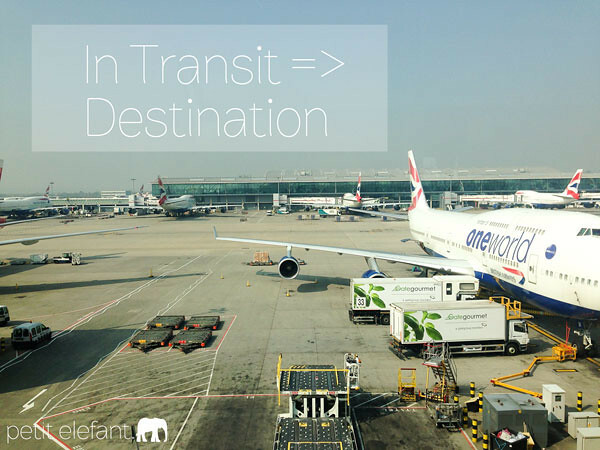 Join me over at Petit Elefant where I talk about in transit being part of the destination! I'm a little late in posting about Mother's Day, but I don't want to skip the shout out to my awesome family for making me feel loved and special. I really didn't have a lot of aspirations. I just wanted to take a break from all the regular duties of cooking, cleaning, etc. 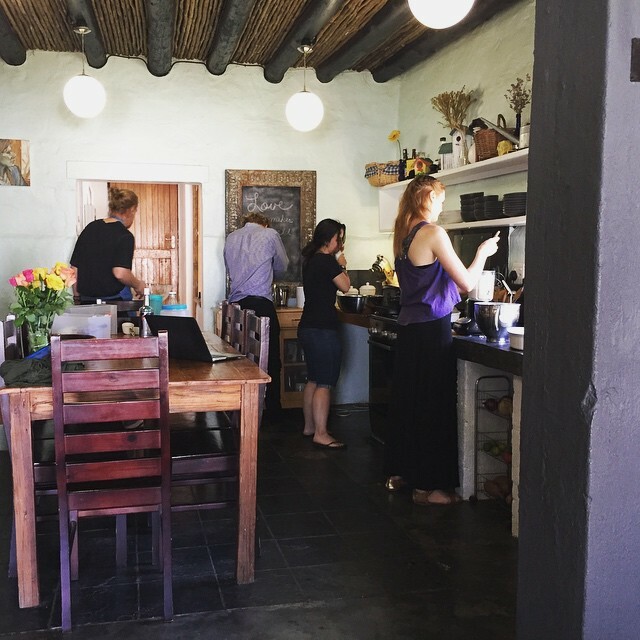 We invited some of our single friends over, who are far from home and their mamas. It was such a beautiful sight, sitting on the couch, looking at the happenings going on in my kitchen without me. I love my family so much, blood and not. I'm so grateful for them in my life! 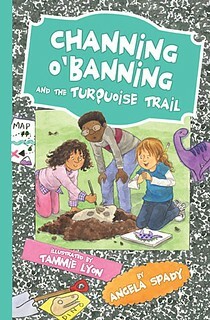 Have you heard of the Channing O' Banning series? I just recently found out about it and love them! Emma G and I have been reading a couple of chapters a night. What a great bonding time over the hilarious tales of Channing O' Banning! 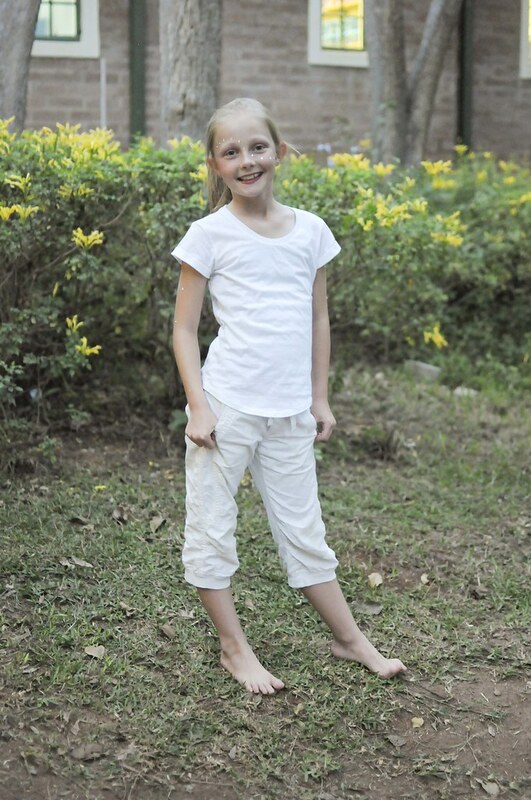 Fourth grader, Channing, is learning to grow up which, as we all know, is not easy to do. She learns the value of friendships and how to be a good friend, even when conflict arises...such an important thing for kids to learn! I also love that Channing keeps a pencil tucked into her ponytail in case the artist in her sees something worthy of capturing! These books are perfect for readers just venturing into chapter books. I would say girls in the 6-10 age range would love these! My girlie is ten, and she's enjoying Channing's hilarious adventures. I have a real treat for you! This giveaway is for a double prize package! 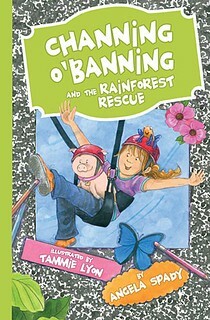 Enter to win Channing O'Banning and The Rainforest Rescue AND The Turquoise Trail courtesy of Tommy Nelson! Giveaway is open to U.S. addresses only and ends May 22nd at 11:59 PM. Disclosure: I received a free copies of Channing O' Banning Rainforest Rescue and Turquoise Trail from Thomas Nelson in exchange for my honest review. All opinions are my own. When I was a wee teenager in high school, I frequently babysat for my 8th grade science teacher. She had all sorts of "pets" in her house, one of those being a snake. I'll never forget the day it got out, and I told her boys that they better find it and put it back. There was no way I was going to come face-to-face with a snake. My fear of snakes hasn't gotten better over the years. I've only added more stories of snake encounters to the mix. 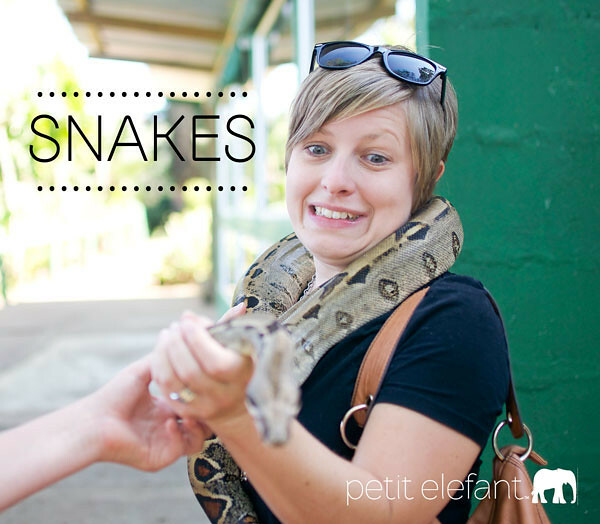 Come over to Petit Elefant as I share my snake stories, and join the conversation by sharing your own snake stories! Any Duck Dynasty fans out there? I love how this show combines humor with down to earth, Jesus loving family values. We love it! If you do, too, then you HAVE to check out Duck Commander Devotions for Kids! Korie Robertson and her mother, Chrys Howard, teamed up together to write this wonderful book filled with funny stories from all of our favorite Duck Commander characters, Bible devotions that challenge kids to go deeper with Jesus, and prayers to help them along the way. I've been reading these devotions to the kids in the mornings before school. I love the layout and feel of this book. The hardcover keeps it lasting longer, too! How about that cover? Isn't it the cutest? This is a giveaway you don't want to miss! Details and entry info below! 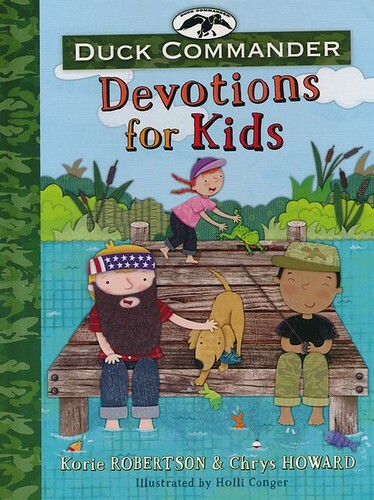 I have one copy of Duck Commander Devotions for Kids up for giveaway courtesy of Tommy Nelson! Giveaway is open to U.S. addresses only and ends May 15th at 11:59 PM CST. Enter through Rafflecopter below! Disclosure: I received a free copy of Duck Commander Devotions for Kids from Thomas Nelson in exchange for my honest review. All opinions are my own. Can you imagine going from one day being a healthy, happy child to being trapped inside your own body as it slowly reduced itself to a vegetable state? 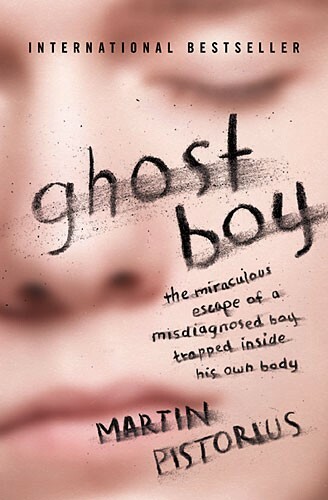 That's what happened to Martin Pistorius, aka the "ghost boy." He came home from school one day complaining of a sore throat and within a year, he couldn't talk, walk, or move at all. For more than ten years, Martin lived his life in a wheelchair spending his life at care centers watching his family lose all hope for a full recovery. His body couldn't move and his voice couldn't speak, but Martin was totally aware of everything that was happening around him. Ghost Boy is the incredible story of one young man who found the strength to not give up in the midst of despair. Martin captures every emotion as he tells the painful stories of abuse he suffered at care centers and the hope he found in people who weren't willing to give up on him. I really enjoyed reading Ghost Boy. It's such an inspiring tale of strength to beat the odds. It also shows that circumstances, however difficult they may be, don't dictate whether or not you can walk in joy and love. I had a difficult time following the timeline as the chapters jump around a bit in telling the story. However, that didn't take away from the fact that I hard time putting the book down. It was that good. I highly recommend it! I have one copy of Ghost Boy up for giveaway thanks to Thomas Nelson! Giveaway is open to U.S. addresses only and ends May 8th at 11:59 PM CST. Enter through Rafflecopter below! Disclosure: I received a free copy of Ghost Boy from Thomas Nelson in exchange for my honest review. All opinions are my own.